Our school supplies have travelled miles and miles to reach this village in Uganda! Each year, we contact schools, parents, teachers, individuals, and organizations to help us collect gently used and new school supplies. 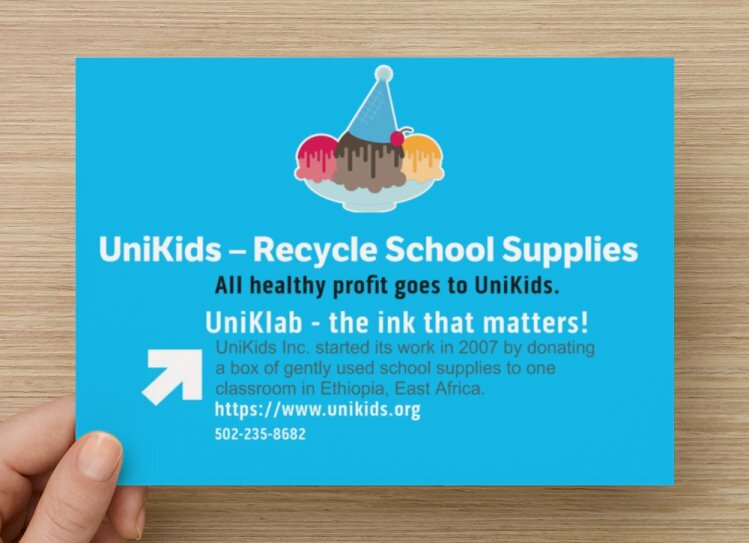 At the end of school year, participating schools donate all their used and unused school supplies. We go to the schools to collect these school supplies. In a given year, we collect 3,000 – 5,000 lbs. of school supplies. We select recipient organizations in 2-3 developing countries with an approximate of 6,000 students to be helped collectively. We ask that you donate any amount to help us ship/donate these school supplies to students in need. No amount is SMALL.